The functional centre of the Ag Boss is its oversize tilt tray. 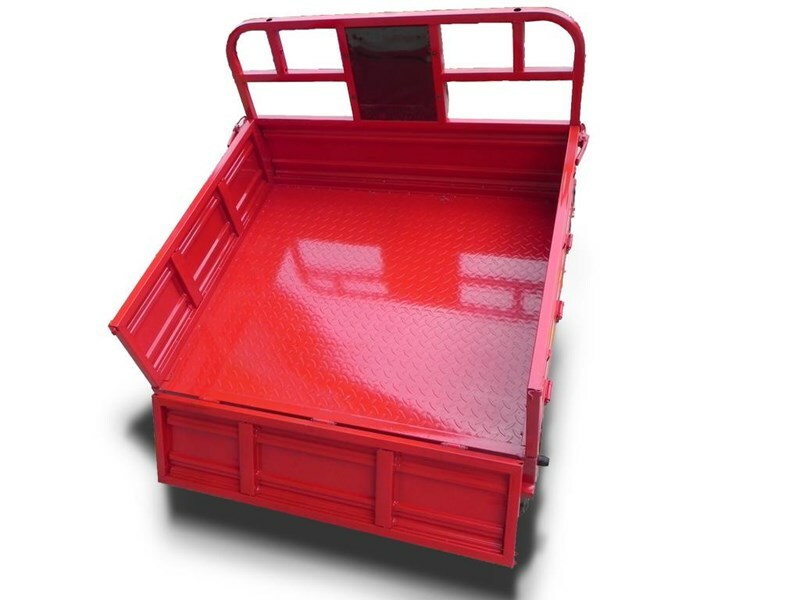 At 1.1 metres wide and 1m long, with a tilting angle up to 40 degrees, the tray is large enough to haul 6 bails of hay, while the re-enforced main frame gives an overall loading capacity of 300 kgs. 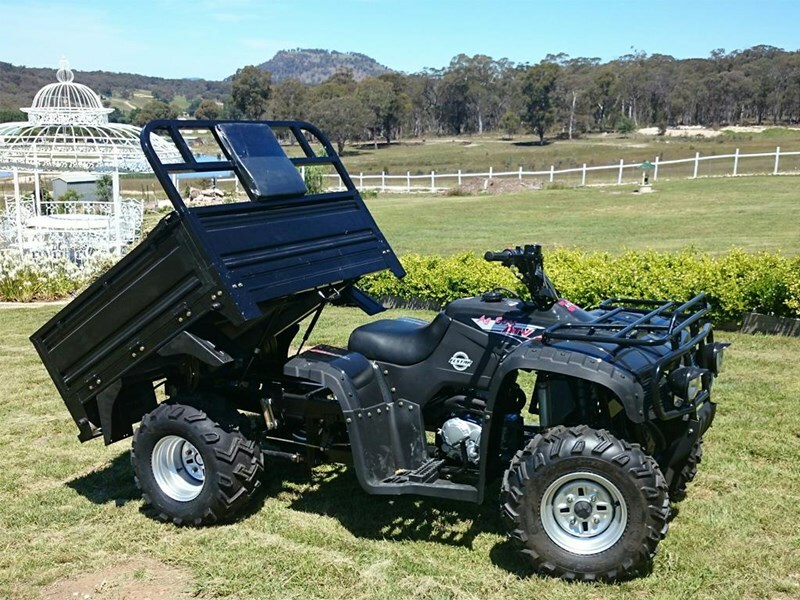 Loading and unloading the Ag Boss is made easy via three drop side panels which give you the ability to load from any side of the tray, perfect for larger or more awkward loads. 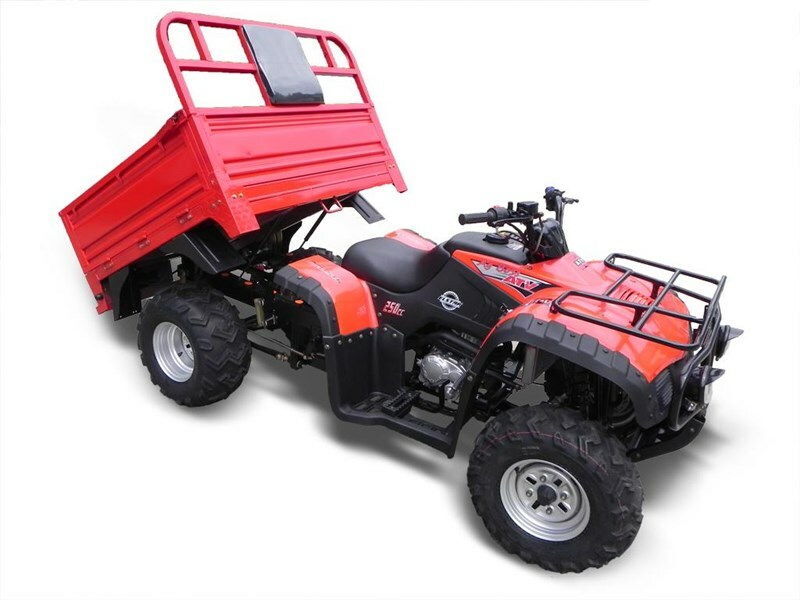 The Ag Boss power is delivered via an efficient 5 speed 250cc, 4 stroke single cylinder engine from Zongshen, which boasts 17.5nm of torque at 5500rpm. Braking is handled by a dual ventilated hydraulic disc brake at the front with a double drum brake at the rear. 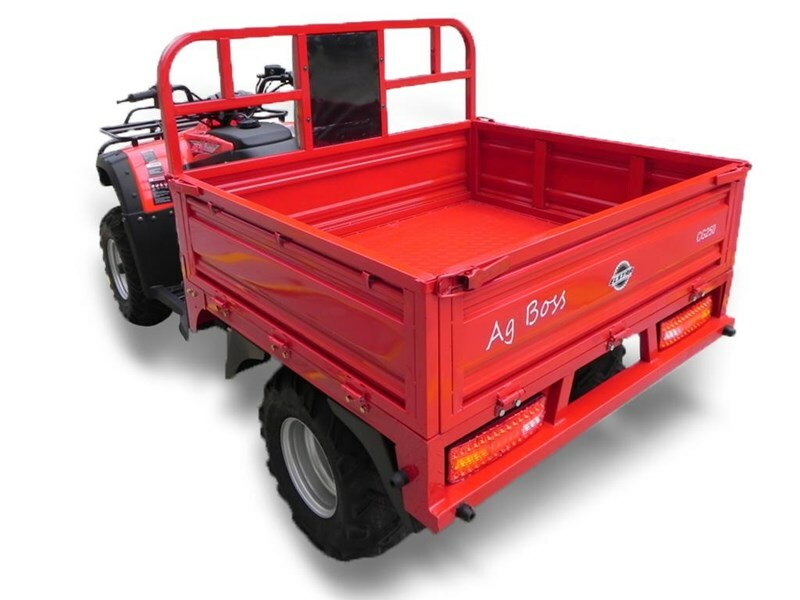 For users needing recreational registration, the Ag Boss also features head lights, tail lights and a horn as standard. 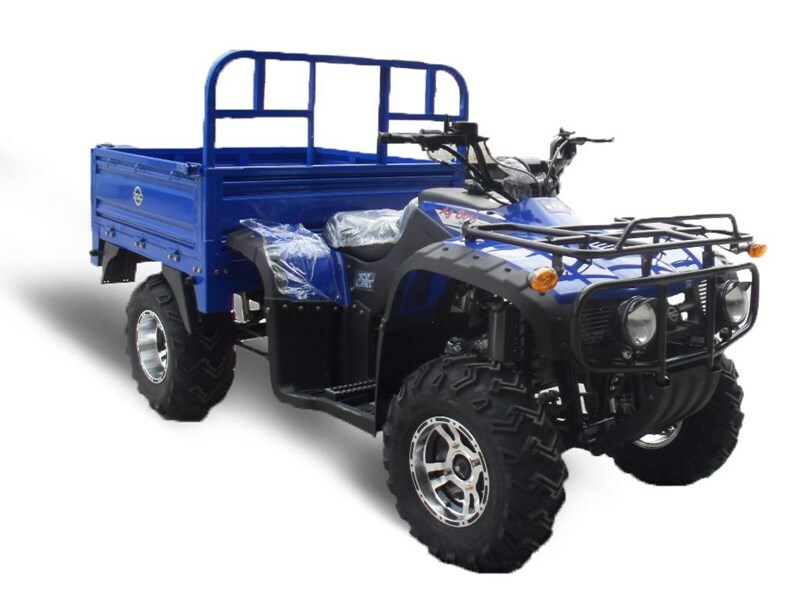 If youre looking for the new authority in Cargo ATVs, be sure to check out the easy ride and outstanding value for money of the Elstar Ag Boss at one of our dealers.